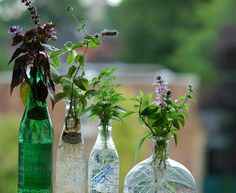 Growing plants in water can be a fun summer project. There is a long list of plants that can survive in just water and will grow beautifully. You can use almost any container that will hold water. Growing plants in water bottle is also common. 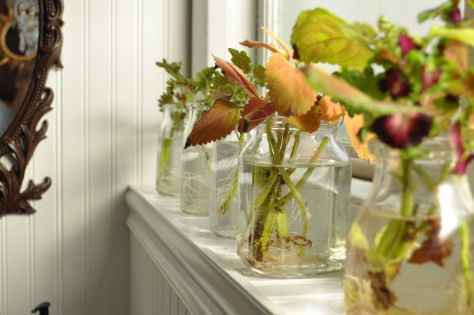 Starting from Mason jars to glass water bottle, anything that will hold water can be your water plant pot! So let’s not wait anymore. Here’s a quick guideline for your next DIY project for the summer! 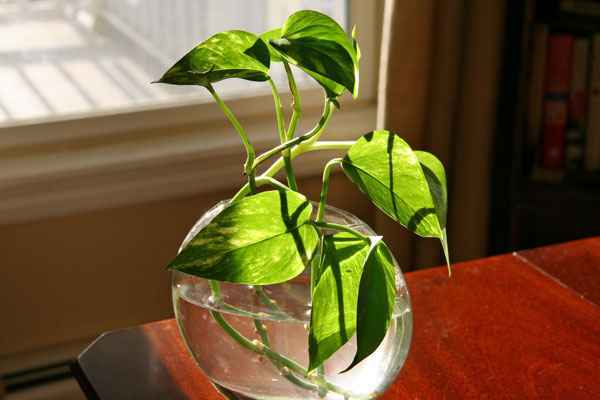 Hanging or creeping plants from cuttings are often the easiest to root in a water environment. After you have decided on your plant you can move on to vessel. 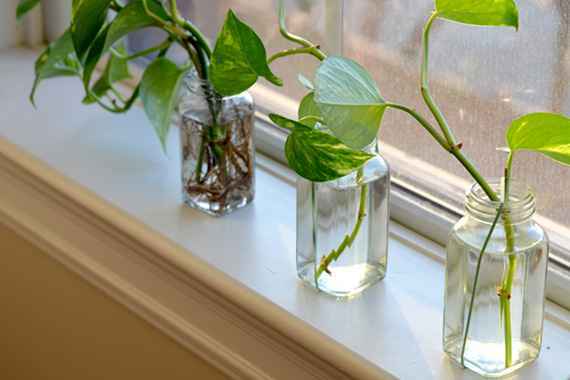 Clear or colored, as long as it’s translucent, anything either glass or plastic that can hold water is a potential vessel for houseplants. You can also find different shape and size of inexpensive bottles and vases at Dollar stores and craft stores but old-fashioned canning jars or even drinking glasses work great, too. Right after you are satisfied with your selection of plant and vessel, now you are ready to root plants in water. Rooting plants in water is not as different from rooting them in soil. 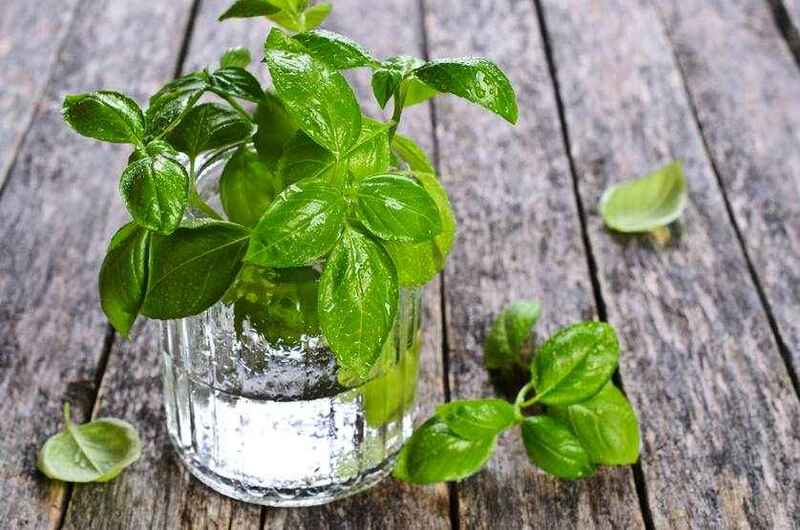 Wash all the soil completely off the roots and cut any dead or decayed leaves and place it into the water or you can clip off a small, actively growing segment (right below the leaf) from an existing plant and place it into a water filled vessel. 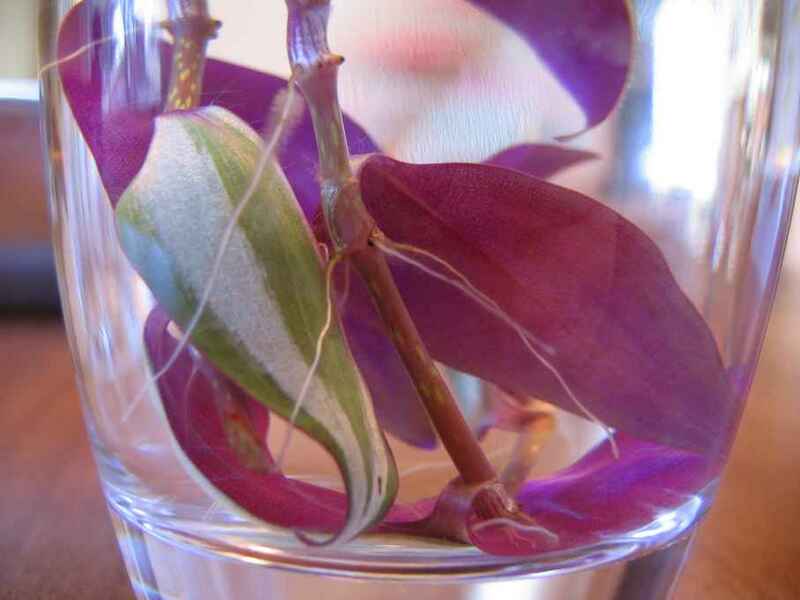 Once the cutting is placed into the water, roots will soon appear along the submerged stems. Sunshine: A plant growing in water will usually require the same amount of light as it would if it were growing in the soil. Some plants flourish best in a clear glass jar and would love lots of sunlight while on the other hand others seem happier in a ceramic vase with not so much love for the sunlight! 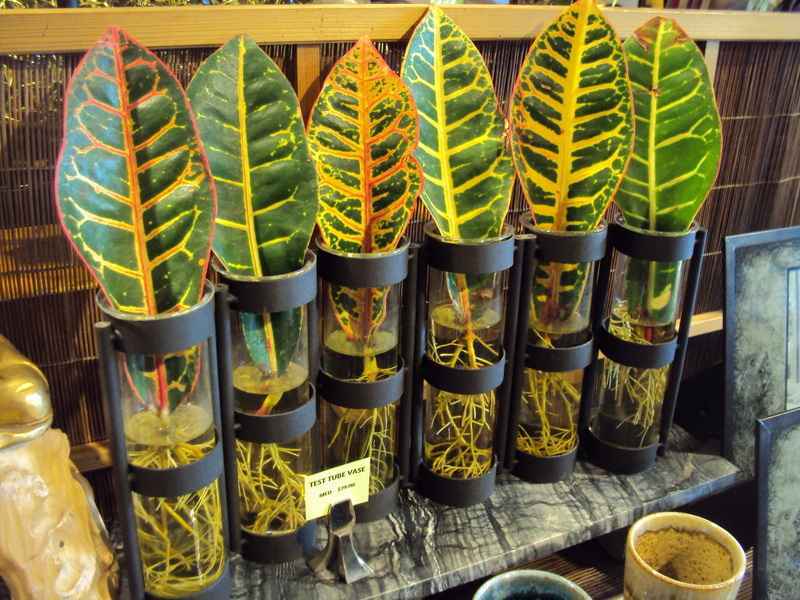 So, feel free to move your cuttings around until you find the perfect combination that’s compatible. Water: It is best to use bottled spring water or well water than tap water since most tap water is either chlorinated or the nutrients have been filtered out. Plan to change the water about once a month. If algae becomes a problem, change water more frequently. 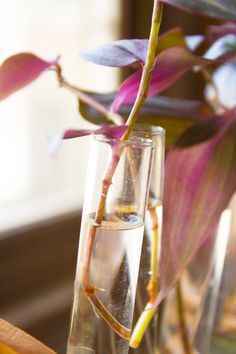 Meanwhile, you can keep adding a small amount of water as it evaporates from the vase. Feeding: You can add just a few tiny grains of soluble plant food or a couple of drops of liquid fertilizer to the water after each change. Be careful while doing so since fertilizer added to water is immediately available to the plant’s roots unlike fertilizer added to soil so it’s very easy to overdo it and injure your plants. Controlling growth: Simply cut back some of the roots or pot the plants in soil if excessive root growth starts causing problem. Mother nature has mysterious ways to do things. All we can do is play along and have some fun of our own.So let’s start preparing for a beautiful, fun and enjoyable summer. I know I will! What about you?